The ambassadors of the Member States of the European Union (EU) have not reached an agreement on the postponement of the fisheries pact with Morocco because of the considerations of some countries’ representatives on the impact of human rights in Western Sahara. So far the formal renewal of the agreement has not been achieved and it should take place in August. Community sources reported that the issue will be discussed at a forthcoming meeting of the ambassadors from the 27 European states. Even though Ireland has a “more positive” position than in the past and is committed to reviewing the data submitted by Brussels so as to give a “final” opinion, Sweden declared a view against the deal, the same sources added according to the agency EFE. Meanwhile, Denmark and the Netherlands expressed reservations, and the United Kingdom is planning to abstain. However, Spain and France insist it is necessary to take a quick decision. In addition, the Spanish and the French governments requested that the Council should be consistent, as it has “positive” data on the implementation of the bilateral fishing agreement. The new pact is similar to the previous one but it includes a new provision that requires the Government of Morocco should report on the use of EU funds and in particular, on the socioeconomic impact of the EU funding. 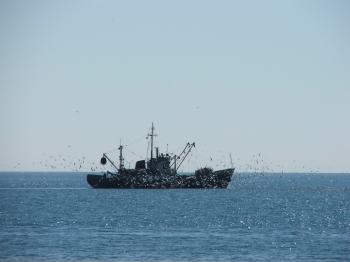 In the four years of the fishing agreement, which expired in February, the EU provided EUR 144 million to Morocco for 119 fishing licenses, of which 101 are for Spanish ships. The proposed postponement involves the payment of an annual compensation of EUR 36.6 million by the EU for the fishing rights in the African country.